So building upon the previous post on identity and personal marketing I am adding this very practical way to earn some extra bucks while exploring social media sites and getting cracking with your expertise and softwares for audio/video teaching. “7 places teachers can turn your expertise into cash online today” by Meri Aaron Walker (English spoken). The core of the presentation is to be ‘Thinking seriously while imaging wildly’ as to get new ideas on how to take advantage of the global marketplace as a teacher. Teachers have always added value to a lot of learners, but with the new international connections, teachers are starting to sell their services worldwide. Meri takes the viewer on a tour and points out some of the opportunities teachers can dive into nowadays. Although there are a lot of new opportunities time is a constraint in many cases. Here are the 7 organisations that Meri mentions to make money from as an online teacher. If you register yourself for these 7 places you can take start offering your services and start to make money for yourself. These sites are set-up with teachers in mind = people that sell learning products. Social networking site on which people sell the information they know something about. (like DVD’s on how to train for basketball, how to repare your car …). It works also by putting up your profile (only a profile, you do not need a website or similar). You can post audio, video, pdf-files and you can give them for free or ask money for them. With an interesting profiling section: you chose your area of expertise and your profile connects immediately to a per minute charge if people want to connect to you. This is based on a rigourous process. With a widget to put on your social networking pages. (23% for livePerson). Especially focussed on tiny video lessons, so mainly a self-publishing portal connected to a social market place. The videos are linked to credits (1 credit is 1 $ 60). Membership for mindbites is free and they have a great training program on how to edit a 60 seconds promo video. The first 60 seconds of your video lesson is free for all learners, so that interested parties can check out what the video will be like. (a bit like the incomparable Lynda.com videos). What is interesting on this site is that you can give the mindbites the possibility to donate your money to your favorite sharity. A video site (Al Gore site J ) More educational content than youtube. Content that is posted in Current is linked to direct.tv, warner… so what current offers all users is if you start posting your videos, if you express your views on camera, current gives you instruments to improve your audio and video. If you video is chosen by the current-editors, you will get money for them. This site pays you per person that is watching your video. So this can add a bit to your income. This site also pays you per person that is watching your video. A special division of skype, that allows people to connect to you through skype (paid by the minute) to get access to your expertise. Free membership. You can search and buy or sell materials that are based on your specialist topics. 30 day free trial period for you selling. So you can see if there is (29 dollar annual fee to become a member). Paid out on a quarterly basis. This site is being used extensively by home teaching parents. 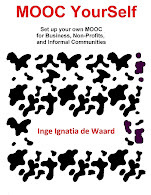 Free social profiling with a knowledge market place (video, audio…). Teachers that are sharing their expertise and that exchange specialist knowledge. Nice stuff: pageturning widget. Of course what gets to me is whether or not I should ask money for any expertise I might have. Some days I feel like I should, at other days I feel that knowledge should be free to all and should be dispersed to all at no cost. Most of the time I am promoting the second option, but now and again I see what my bank account look like and I am in trouble with my ethical principles. Thank you very much Meri Aaron Walker! Keeping up with bloggers is a hard thing to do when time keeps on ticking away, but one of the inspiring bloggers I enjoy keeping up with is Dennis Coxe’s Sailing by the Sound blog. A book that also relates to this topic is the book "Beyond Bullet Points" by Cliff Atkinson.This great author focuses on the importance of the narrative to make a successful presentation. Unfortunately internet interruptions (or other interruptions) seem to give a 50% decrease in attention span and in time effective completion of any task. So sorry, AWAY with ‘office islands’ (IMHO) and mails and phones when you need to think. Just go to a secluded site and think while exercising each time you feel stuck. After 10 minutes most of your audience attention drops, so do something emotionally relevant to keep their attention. Unfortunately again I am pointed out on the importance of exercise and yes I do not always like to do any physical exercise, but I sooth my brain by telling myself that I walk enough (I walk for at least 1 hour a day, otherwise I do not reach my office). Luckily a couple of friends bought a Wii and so yesterday I went over to them and I had myself a hell of a workout without even knowing it while playing 'boxing' (a lot of muscle pain today). So although my computer work limits my physical exercise, my soon-to-be-purchased Wii computer console will help me in exercising. I know, you doubt the amount of exercise a Wii can give. Well, just look at this short boxing clip (I am the one ducking and eventually loosing, but WAW what an exercise). (the comments are in a local dialect and my excuses for whomever can understand them). Looking for a one week workshop that covers the basics for setting up a telemedicine website in low-resource settings? Than this might be what you are looking for (The registration fee is 750 € which covers tuition, all course materials and accommodation but not living expenses). Spread the word, but be sure to be quick because the amount of places available are limited and the requirements are strict. I am one of the teachers. The workshop has a strong and good outcome, so feel free to send a request if you are interested. The coordinator of the Telemedicine week is my wonderful and very brainy colleague Maria Zolfo (see picture). For the complete info look at this pdf, a short overview below. Deadline 28 July 2008. Telemedicine Workshop on the practical use of the ITM Telemedicine website (second opinion tool) and ITM library document delivery service. Topics as access to free online literature, management of databases of references to the literature and computer skills were also taught. In 2007 and in collaboration with Norwegian Center for Telemedicine (NST) of Tromsø (Norway), WHO Collaborating Centre, the Telemedicine Workshop has taken a new connotation, using a more interactive case-based approach with hands-on sessions on how to develop Telemedicine and eHealth systems in low resource settings and aiming at the development and discussion of specific projects proposals of participants. for coaching junior staff using ICT for health. Legal/ethical issues in telemedicine: practical implications? exercises on the computer and practical sessions. specific areas of expertise (i.e., RAFT, iPath and IFI/University of Oslo). At ITM we are dabbling with Articulate Engage. One of our main concerns is trying to figure out whether Articulate Engage is something we can use in low resource areas. Articulate Engage is producing Flash content and as such is cross-platform, but the files are still very heavy. This list of Electronic Health Care/Medical Libraries on the Internet was inserted into Articulate Engage by Carlos Kiyan and is almost 13MB. Nevertheless it works with dial-up connections as well because of the swf-technology of prebuffering. it is indeed really easy to use and it generates Flash content (swf) with just one push on a button. It has a really neat 'search' function which does pick-up text that is included in the different chapters. It allows you to insert different media, which of-course increases or decreases the volume of the generated swf. it demands some actions from the learner. the helpdesk is quick and they really helped us out with more extensive examples we are trying to develop. A great helpdesk is a huge surplus. On the down side: the fixed animation is rather dull and you just know that this type of animation will look dated after a couple of years. This list of medical libraries was made to make it easier for the students to find relevant medical resources. The response on the use of this type of instrument was very positive. At first the list was more limited, but thanks to the input of the students it grew (this adding of relevant sources was part of the learning process they had to go through). This list is used in our online course of eSCART (Short Course in AntiRetroviral Therapy) which is currently successfully being taken by a group of international students. If you know of other libraries, feel free to add them, we will gladly add them to the list. In the blogosphere Darren Rowse (Problogger.net) is one of the prime people that knows how to market his person; and he does it through blogging. 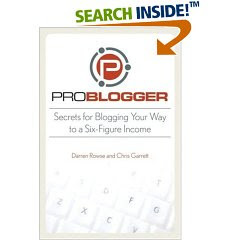 In May 2008 his book “ProBlogger: Secrets for Blogging Your Way to a Six-Figure Income” came out and it is a success. I try to follow his tips and tricks, but sometimes I forget them again (darn!). Darren recently got interviewed by Dan Shawbell who is an expert in personal branding. As the world becomes smaller recognition on the basis of a clear identity (or personal brand if you like, I know it is not exactly the same, maybe I should not call it identity but persona?) and a clear profile is crucial to become more visible. Some of us are really good in personal marketing and we get our names posted everywhere. Others – with equal knowledge in our own field of expertise – are not that good at marketing our own name and expertise. So I have been dabbling with my online professional identity and especially what I can do to make it more visible and stronger (meaning reliable/trustworthy or linked to the expertise I would like to be known for). Now I know I am not good in personal marketing, but I want to get better at it, keeping ProBlogger in mind, but having to search for my own niche. So help me with any ideas you might have on this topic, I wrote down what I can think off. Any other ideas? Feel free to share. Someone who is getting his stars out is Fred Stutzman (a great Web2.0 researcher), still reading up on his articles. The technical side (openID) which allows you to develop an ID that you can use whenever you register for a (new) social app (as long as that social app accepts openID’s). An openID allows you to build a profile in a central location and registering all over the internet with that identity/profile. The advantages of an openID are apparent as soon as you subscribe to more than just a couple of social media apps. You no longer have to put in extra time to writing about yourself (profile) and you can keep your profile up to date easily (single sign-on). The sooner you corner a digital identity, the bigger the chance no one else gets hold of your (preferred) identity. And let’s face it; identity is a very sensitive issue for everyone. I try to corner my chosen identity wherever and whenever I can, but sometimes I am beaten to the punch. If you want to get really into openID, watch this video from Google tech talks, with Simon Willison as your MD. The movie is about 51 minutes long, but it gives a very accurate idea of what you can and cannot do with an openID and it also gives you some technical background information. Or pick one of your choice from this extensive wiki list. In my quest to realize a Star Trek-ian society within my lifetime I wish to promote free tools, eLearning tools at that. One of the great recent repositories is Jane Hart’s Centre for Learning & Performance Technologies. Everyone could build a repository with free eLearning tools, but she did it by distilling the top 100 tools that were provided to her by expert eLearning colleagues from all around the world. While surfing to her list, you get a nice bonus: each tool has a small tutorial linked to it. Nice. The top 10 free tools lists Firefox, delicious, Google reader, Gmail, skype, Google calendar, Google docs, slideshare, flickr and voicethread. Just take a look at her complete list and see which ones you use or ask a couple of your colleagues if they are using any. For me I use 17 of those tools actively for my own use. I never counted the tools up until now and I am quite surprised that I use that many and a lot of them on a daily basis and I wonder how many tools I use all together. 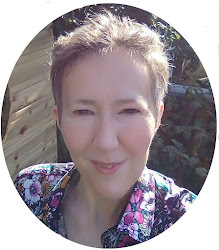 Jane Hart does more then just deliver lists; she has a blog which serves knowledge in small pieces: Jane’s eLearning pick of the day, a very interesting set of posts that regularly give the reader an AHA feeling. The list for free tools is great, the need for it is clear. However this got me thinking. Why is it that the most useful things most of the time stare us in the face, yet are not taken for granted to the point they could be? Jane Hart is a great eLearning professional because she pins down what is important and distributes it to anyone who is interested. Anyone could come up with a similar list, but she did it. To be honest I was a bit jealous because I thought I could have come up with such a list, certainly if I would ask around, but then … I did not. So I wonder if really great teachers are characterized by their power to see simple useful things, put them into context and distribute them in an easy understandable way. Leonardo da Vinci is a great example of a human that was instructed as a painter, but through his ideal location (a city filled with artists and knowledge) and the need for travel (sometimes voluntary, sometimes political need), the exchange with other artists (peers) from other regions and the fact that he was able to talk with people from different trades moulded him into a genius. Da Vinci became interested in different fields which he than explored pushed by his own curiosity and sometimes political circumstances. Learning from peers and looking up specialists in different fields to learn from them is a natural human learning trade from every era. Plato travelled to peers (School of Pythagoras) that were working on different topics to be able to learn (or exchange ideas) with them. There were more people learning their trade by themselves or with peers and thus the idea of autodidactic learning became a term. This term fascinated artists and scholars and the idea that a human being could become more by learning became a theme in the arts. A human being raised without external influence and becoming a better human being has been a theme in many cultures. One of the ground breaking novels that cornered this type of self-learning is 'Hayy ibn Yaqdhan' written by Ibn Tufail (known as Abubacer) in the early 12th century al-Andalus. It was later on referred to by Kant, Locke a.o. It later became a theme in Western literature (Mowgli from Kipling, Nel from Jodie Foster a.o.). Let’s move closer to our era. I see informal learning also as the further democratization of the Grand Tour that started in the late 17th century and which wanted to instruct (mostly British) noblemen in order to become more in touch with the most important features of their times: classic arts, becoming a worldly person. This Grand Tour could be seen as the next step from the early autodidacts. Although the Grand Tour only provided the possibility to learn, a lot depended on the person on whether or not and particularly what they would learn. I like the political awareness linked with literature that was mixed in the writings of George Sand after and during her travelling. The autodidactic approach to learning has always been crucial to IT. Even at the beginning of the computer age self-instruction was crucial, the mythical Ada Lovelace (image in this post) for example who developed the first computer program for the Babbage machine. Where would the computer age be if autodidactic learning or informal learning would not have been an option? Where would anybody be? Throughout history the concept of autodidact learning has been spoken about on many occasions, but at this time in history this term becomes pivotal to being an efficient knowledge worker. Autodidactic learning or informal learning is now key to effective company learning and if we master this skill, it will bring us closer to the geniuses of all times. Yesterday a colleague of mine came up to me and asked me about online tutorials on pivot tables in Excel. This is a recurrent question, so it seemed like a good topic to blogpost about. Some of the students of ITM are into statistics, and they use different programs, but one of the basic ones is Excel. Pivot tables are a useful feature and the question I get from time to time is whether there are online tutorials for pivot tables. That way the students can explore this excel feature at their own pace and space. The excel lessons I like the best are tutorials from DataPig Technologies. A great company started by Mike Alexander who is a Microsoft Certified Application Developer (MCAD) and author of 8 books on advanced business analysis with Microsoft Access and Excel. I mean this guy definitely knows his business and … the basic tutorials are for free. The more specialized one are available for 25$ which is also a good bargain because you know they will be relevant. If you are more of a reader and you want the information to be really related to the Excel 2007 version of the Microsoft software, you can look at this text (accompanied with screenshots) from Productivity Portfolio. It is quick and concise, which is completely tailored to their motto of ‘5 minute tips to learn’. You might of course also want to take a look at the online courses Microsoft provides. After you have followed the tutorial(s) and/or the texts you might still have some questions. Do not despair! There is a solid community of excel users that can put you on the right track with your problems. It’s an active community at that. Looking for other pivot table related topics: look here. The Canadian Institute of Distance Education Research, University of Athabasca, presents the next presentation in their series of free CIDER sessions. Their next session features a presentation and discussion with Dr. Marti Cleveland-Innes from Athabasca University and Zehra Akyol from the University of Calgary. Title: Emotion, Learning and the Online Learning Environment. 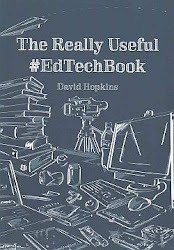 "In spite of evidence that more and more students are engaging in online learning experiences (Alan & Seaman, 2006), clarity about the transition to a new learning environment is still at arm's length (Cleveland-Innes, Garrison & Kinsel, 2006). In addition, the impact of the emotion created by dealing with this new environment on learning is virtually (pun intended) undiscovered. In this session, Dr. Marti Cleveland-Innes and Zehra Akyol will review theory and data regarding emotion in online environments, with opportunity for discussion of the effect of emotion on teaching, learning and instructional design. In addition, this presentation corresponds with the launch of a web-site to support continued discussion and research on emotion and online learning. The web-site will be introduced at the end of the session." Let's face it the bridge between emotion and online learning needs to be bridged, so this will surely give some great content to reflect upon. keep the team of developers informed of their expected input and when their input is due. Celtx is a great storyboard software. It just upgraded to their 1.0 version (cross platform and delivered in a lot of languages). This software is also useful if you want to construct a podcast which is in high need of a good narrative structure. Writing or drawing up a storyboard can be difficult by itself, but by using software which enables you to break up the script into useful bits for the entire team, you will safe time for all. With Celtx you can add tags to different parts of the script or the use the break-up feature to allow you to do a ‘search’ later in the project. If you have finished the storyboard and you have added the different parts of the storyboard to their appropriate team members, you can set up a schedule that will allow all of your members to work on the project with a clear deadline. Celtx is impressive software and free at that, under a CC license an amended version of the Mozilla Public License (the Celtx Public License) (Thanks Johnnie for pointing this out!). 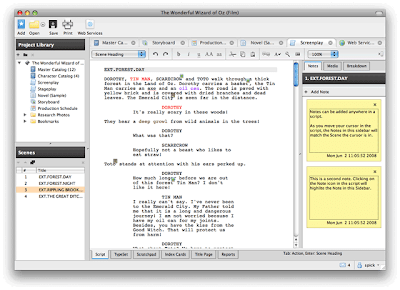 It was originally build as a screenwriters aid and I must say if you are a screenwriter or willing to become one this is definitely the software to use in your first (or Xth) script. The software uses basic computer skills and allows you to work with preformatted script definitions and aids. Celtx has some web services as well. You can upload your project to their server and share your project with other (Celtx) members. The membership is free and it is the classic ‘registration’ process similar to other software’s (sign-up). Another useful web service is the snapshot; this allows you to keep several versions of your project. In order to access the web services you will have to download celtx first, after which you can sign up through the web services window in Celtx. This software has a support community, a Celtx wiki with a lot of indepth information, a part which is called Project Central which showcases the media projects of Celtx users. Nice, I like it. So if you like to grow above hierarchal, segmented, linear eLearning production, just look at this promo. Today I had planned to compare different shareable notebooks with one another. Up until now I used the free version of Evernote to make my personal notebook, but it is time for a change that fits better with the ideas I have in mind. You could ofcourse use a wiki for this purpose, but I wanted something that gave me the immediate ability to add (almost) any type of document, whether it is audio, video, text… and which allows me to make note pages that look chaotic, because that is the way I like to start my search and filtering for content and knowledge. A quick search with the incomparable dogpile search engine immediately gave me a link to a great comparison of Zoho, Google and the OneNote notebook. His conclusion was slightly in favor of Zoho. But then again, I only read his conclusion. Why? Because as knowledge is increasing my time schedule gets stricter. So I thought, what I will do is just compare the feedback of all these notebooks and decide on the demo’s they have. This worked for me. The only one that was immediate and to the point in its demo was Zoho. So here I go, I will adopt Zoho as my notebook of preference at this time, and mostly based on their very practical demo. Demo’s work for me if they are quick, to the point and short. In my ever ongoing quest to link QRcodes to eLearning I had a new idea (well new in the Roman way = building on what exists and turning it in something a bit different): displaying information on buildings or surfaces of any kind in order to deliver on the go, on site and at the right time content to learners. 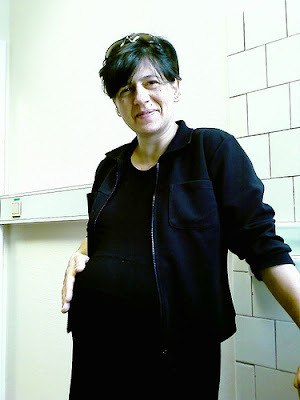 After starting to read her inspiring blog (she works on a PhD which balances between art and QRcodes, how cool is that!) I came across the site of ‘invisible art’ which is an art project that adds artistic impressions onto buildings through the active use of a cell phone camera. Invisible art is part of the Spellbinder initiative at the University of Edinburgh. The idea behind the principle is easy: see a building, take a picture with you cell phone, send it to a designated phone number and in return you get a picture with much more information on it. This could be done with pure QRcoding too. So I was thinking: what if you would link this type of acting to a class that benefits from walking around in the city? Just imagine that you are teaching a history class, which features types of architectures from different eras. Then you could construct a mobile tour in a specific city. You walk the tour as a learner and when you pass a building of which you think it is build in a Roman style or Gothic style you take a photograph .Put up a QRcode on the spot where the learner needs to take a picture of the building or needs to examine the building or space. This code opens up more information, or just the course relevant answer. Does anyone want to attract me as a consultant on a similar project? Hallo iemand? Anybody? Quelqu’un? ICT4D the Peoples Uni, an OER initiative - they are looking for students and teachers - Join! A new initiative in Open EDucational Resources that I came across today, thanks to my ever informed colleague Verena Renggli. Most low to middle income countries (LMIC) currently have to cope with a wide range of health problems that interfere with their future economic development. Public health is a major priority, especially the spread of AIDS, tuberculosis and common infectious diseases, as well as the emergence of chronic disease epidemics. A trained workforce of health professionals is essential, but local universities being vastly oversubscribed for face to face courses and fees for overseas universities, including e-learning distance programmes, are higher than can be afforded by most potential students in these countries. Internet-based eLearning has the exciting potential to deliver high quality learning resources anytime and anywhere, and although access is by no means universal it is improving quickly. The open source software movement provides an inspiration for an affordable and credible solution - Free and Open-Source Software (FOSS), (http://en.wikipedia.org/wiki/FOSS . Many hundreds of individuals have contributed to the development of high quality software which is freely available on the Internet. In the education field, there are now parallel developments of Open Educational Resources (OER), with an ever expanding range of high quality on line resources that are freely available through the Internet. The Peoples Uni are calling on individuals and organisations to undertake various of the required tasks. They are calling this ‘Volunteersourcing’ – a variant of ‘Crowdsourcing’. While many of these tasks might be performed by volunteers, others will require funding (such as accreditation).